Identified Patient went a long way in a really short time and now we can welcome him in Budapest very first time! With him the Holland scene's another young titan will repesent himself after Betonkust at LÄRM. His start can be dated around 2016 when Common Thread released his first EP "The Female Medical College Of Pennsylvania". He already pointed his own sound's way with this 12inch, that contains cruel percussion, slow techno and sometimes the EBM vibe mixing with broken acid melodies or the classic 303's sound, and of course there is always an electro influence. The result is always a wonderful and harsh fusion. The next milestone was in his music career when the dutch Pinkman label released his second EP "Weeshuis Der Verloren Zielen". With this vinyl, the desired result has been achieved, and one of the forthcoming collaborations of vocals with Sophie du Palais can be seen and their first common EP was released by the mentioned label under their Broken Dreams series with the title "Aborting Your Dreams". Of course after that, the legendary british label, the Brokentoys also worked with him, but if all this wasn't enough, he launched a new project with Hugo van Heijningen, who is one of the founder of the Red Light Radio and ex-singer of the famous dutch punk band: the Malkovich. This awesome EBM-punk band calls Stallion's Stud supported by Interstellar Funk's own label the Artificial Dance. However, the real explosion was on the Dekmantel Festival, when he was DJing there and which was also broadcast live by Boiler Room. Since then he could play all of Europe's illustrious venues, clubs and festivals. In his DJ set, he is an awesome selector, because he does not stuck on the EBM sound only, he put more egzotic music, but he also play a lot classic disco, new wave, acid and electro hits and all kind of genre as well that assured the best club feeling in the venue. Beside of this, he is also a great performer, his stage pressence and dance are guaranteed and also the infinite good vibe and energy with which he captures his audience. We also asked for a real selector for local support, Gördön, who is one of the half of the beloved Küss Mich duo, who always has huge treasures in his vinyl bag and does not restrain them in a row, or forge different genres into an euphoric whole. 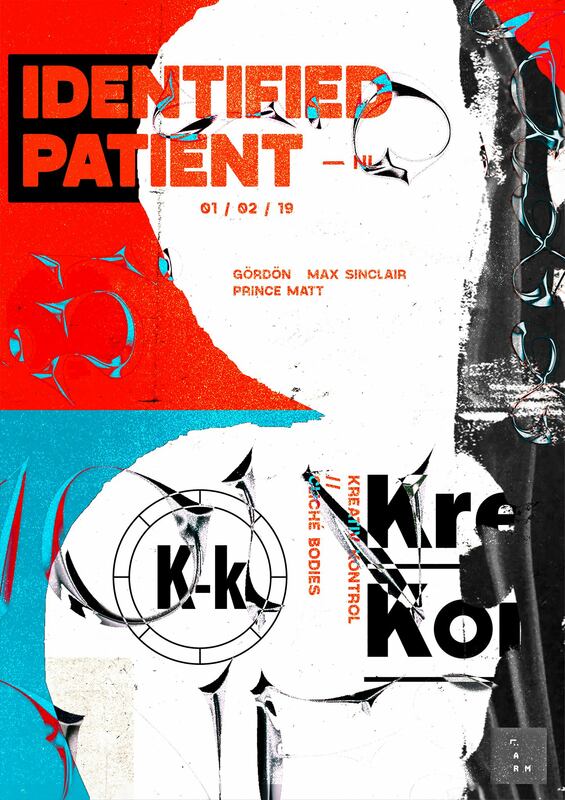 Last, but not least there will be two other local set by the residents of this night Prince Matt and Max Sinclair, they repesents Cliché Bodies & Kreative Kontrol. There is no need to introduce these people for those who are familiar with the nightlife of Budapest.